The Emir of Kano state; Muhammad Sanusi II, Sarkin Kano with Africa's richest man, Alh. Aliko Dangote and some group editors of Financial Times of London at a pre-summit dinner on the forthcoming FT Africa Summit in London. 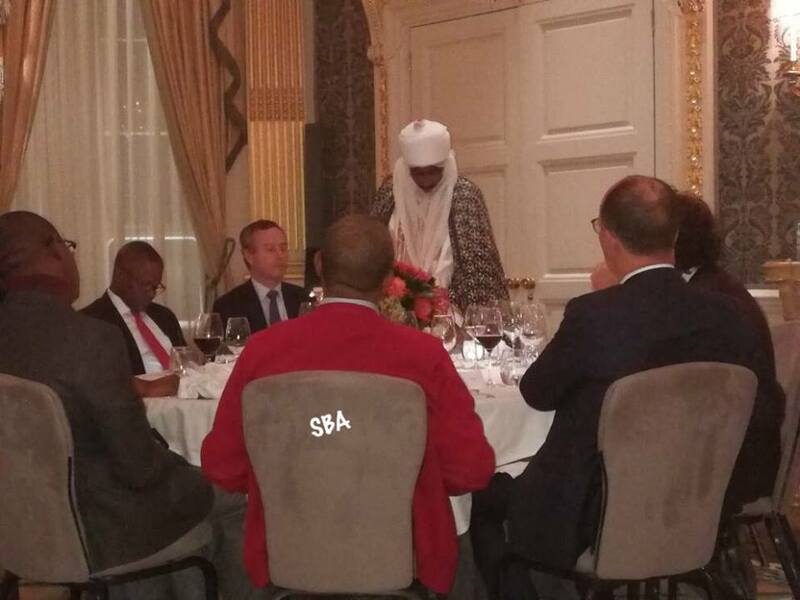 The Emir was honoured to be the only speaker at the dinner on Sunday 8th Oct. 2017 in Claridge's Hotel London, UK.